We’re all familiar with marigolds– sunny, cheerful plants that brighten the garden all summer long. Don’t, however, confuse those old-fashioned favorites with Dimorphotheca cape marigolds, which are a different plant altogether. Also known as star of the veldt or African daisy (but not the same as Osteospermum daisy), cape marigold plants are daisy-like wildflowers that produce dazzling masses of rose-pink, salmon, orange, yellow or glistening white flowers from late spring until the first frost in autumn. As the name indicates, cape marigold (Dimorphotheca sinuata) is native to South Africa. Although cape marigold is an annual in all but the warmest climates, it tends to reseed readily to produce stunning carpets of bright color year after year. In fact, if not controlled by regular deadheading, boisterous cape marigold plants can become invasive, especially in warmer climates. 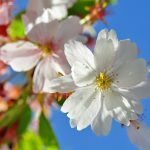 In cooler climates, you may need to replant every spring. Cape marigold plants are easy to grow by planting seeds directly in the garden. If you live in a warm climate, plant seeds in autumn. In climates with cold winters, wait until after all danger of frost has passed in spring. Cape marigolds are a little particular about their growing conditions. Cape marigold plants need well-drained, sandy soil and plenty of sunlight. Blooming will be dramatically decreased in too much shade. Cape marigold plants prefer temperatures below 80 F. (27 C.) and probably won’t bloom when the mercury rises to temps above 90 F (32 C.). Cape marigold care is definitely uninvolved. In fact, once established, it’s best to leave this drought-tolerant plant to its own devices, as cape marigold becomes sprawling, leggy and unattractive in rich, fertilized soil or with too much water. Be sure to deadhead wilted blooms religiously if you don’t want the plant to reseed. 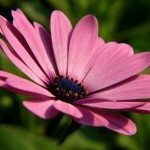 Confusion exists in the gardening world regarding the difference between Dimorphotheca and Osteospermum, as both plants can share the same common name of African daisy. At one time, cape marigolds (Dimorphotheca) were included in the genus Osteospermum. However, Osteospermum is actually a member of the Calenduleae family, which is a cousin to the sunflower. Additionally, Dimorphotheca African daisies (aka cape marigolds) are annuals, whereas the Osteospermum African daisies are typically perennials.